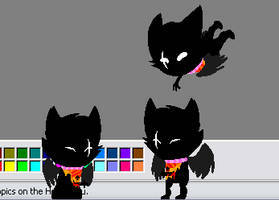 My first (and probably only oh god this thing was a pain) shimeji of the Wayward Vagabond from homestuck. Hope you like him! ...I have four of these guys and a Bec Noir running around my screen at the moment. Ack! Sorry for the late reply I've been away for the last few days. Just the download or the actual file, I can reupload it elsewhere if it's just the file. the link itself, I try to click it and all it does is lead me back to this page. do you by any chance have a .rar downloadable? There's a download file link on the left-hand side of this page which should be a .rar. I'd completely forgotten it was there! The link is [link] if you can't find it, deviantart is awfully cluttered. Maybe I should add that to the description "Want a ghost version? Just change your background colour to black! Wooo spooky!" Weird, I didn't set a password on it! oops nevermind i got it!! It seems like it works for some people and not for others, I only drew the WVs though, I didn't write the programming so I'm not sure what to suggest. Although you could try downloading a shimeji from elsewhere and then swapping the image files from that one with the images from this one and see if that works? 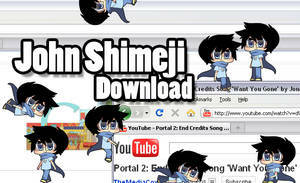 WHY ARE ALL THESE SHIMEJIS IN RARS!? Aww. It's okay. I'll just get the RAR opener. I did have a .zip version, but it was on Megaupload, I need to get round to making another one! XD Yeah, that's true. Still though, I had already gotten the RAR opener and just did that. So I still have the little guy! Once you extract the files just open the "shimeji.something" one (I can't remember the file extension, it's been such a long time since I used one of these). I'm trying to work out how to make a .zip version at the moment. you need to use winrar to extract the files before you can use it, then you just double click the shimeji icon to open it. I've been meaning to make a new .zip file for it, but I need to find out how to extract .rar files on my mac first. yess!!!! i have a bunch of trolls but i wanted exiles! thank youuu!!!! Awesome! Thanks for the download! Ah heck it's megaupload, I forgot about that. 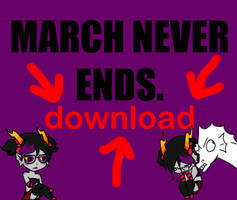 You can still use the deviantart download link! And I'm not sure how to make ZIPs on this computer! I'll see what I can do though.